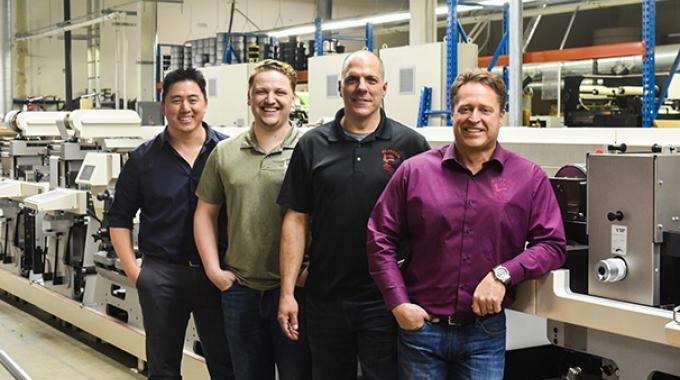 All American Label, with facilities in Dublin, California and Memphis, Tennessee, has installed a new Nilpeter MO-4 offset combination press as it targets growth in the wine and spirits market. The Nilpeter MO-4 offers combination printing based on lightweight sleeve technology. MO-4 offset presses can be configured according to the customer’s needs, and is ready for integration of future applications. The MO-4 integrates easy-load sleeves for both offset and flexo printing. Nilpeter’s MO-4 platform-based offset press has reached 100 worldwide installations since its launch in 2007. All American Label has plans to install a second MO-4 by the end of this year.